The media is informing us, we are going to suffer more electricity rises in the near future. 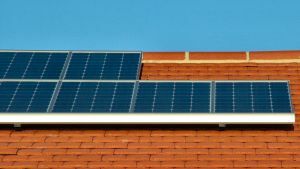 How will these electricity price rises, affect the financial gain of solar PV systems? Shockingly enough electricity costs only have to rise a small amount, to create a large reduction in the financial gain of any solar PV system! If you're not aware of the average Aussie home having a STANDBY ELECTRICITY issue, you need too be. Most homes we have visited, have a standby electricity rate, at anywhere between 25 watts to 250 watts plus. If your home has 150 watts of 24/7 standby electricity, this equates to 3.6 kW per day. Per year it is a staggering 1314 kW. 100 Watts Of 24/7 Standby Reduced Solar PV Gain By 40%! Visit our website for more information on SOLAR PV GAIN. How Smart Is The Smart Meter?